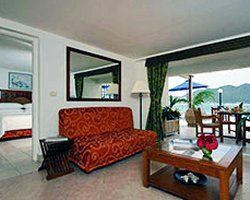 Location and ambiance make Royal Islander Great Bay an amazing resort to enjoy time with friends and family. Only a 10-minute walk to Philipsburg, the resort and surrounding area offers attractions for guests of all ages. 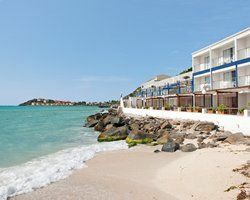 With a mile of white-sandy beach and stunning views of the water, you will enjoy your time in this sunny and tropical destination. 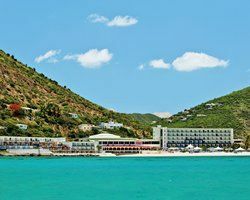 These St Maarten timeshare resales offer studio, one and two bedroom units at Royal Islander Great Bay. These units will sleep from two to six people comfortably and offer a patio or terrace to enjoy the views and warm weather. Timeshares also feature a convection microwave, refrigerator, and kitchen kit to enjoy meals you can prepare yourself to keep the costs down. 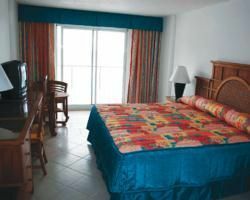 Large beds give you a great night’s sleep and satellite television provides additional entertainment options. On-site amenities at this timeshare resort include three swimming pools and four restaurants and bars including a swim up bar. After spending a day at the beach, you can also enjoy an appointment at the spa or a work out in the fitness center. The Bay View restaurant offers an all-day buffet, while the Tre Assi Pizzeria serves oven baked authentic Italian pizza. You can also speak with the resort concierge to schedule tours and excursions or enjoy a variety of water sports at the beach. The dive and water sport program offers small group tours with certified divers to enjoy snorkeling or check out the jet ski rentals or banana boats for added adventure. Traveling to a tropical Caribbean location for your vacation will create memories to last a lifetime. 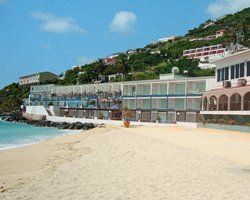 St Maarten timeshare resales offer affordable options for units that will accommodate your entire group. Traveling into Philipsburg provides opportunities for shopping and dining at a variety of restaurants. If you want to enjoy the night life, visit one of the many clubs or try your luck at the casino. Whether you are traveling for business or pleasure, you will not be disappointed with Royal Islander Great Bay. Contact Royal Islander Great Bay Specialist Today!